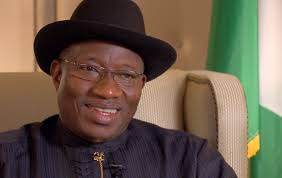 Former President Goodluck Jonathan has called for caution over the activities of security agencies deployed to Ekiti State ahead of Saturday’s governorship election. The Ex-President’s appeal followed Wednesday’s alleged manhandling of some people including the Governor of the State, Ayo Fayose in Ado-Ekiti, the State capital, allegedly by security operatives. In a statement issued on Wednesday by Dr. Jonathan’s spokesman, Mr. Ikechukwu Eze, the former President enjoined security personnel deployed to the state to act within the ambit of the laws of the land, adding that the presence of armed security operatives is meant to give voters the confidence to come out on election day and vote for candidates of their choice, and not to intimidate them. He said, “I am appealing to the security agencies deployed to Ekiti State for the Governorship election to carry out their duties according to the laws of the land by securing the state in a manner that will enable a peaceful electoral process. The former President further charged the security agencies to not only strive to protect the laws of the land but also seek to prevent any development that could negatively impact on the process of deepening the nation’s democracy.